Profit Streams – 21 Powerful Ways To Make A Living Online is an excellent innovative guide that shows you practical proven strategies to put your money where your mouth and to cash in on the money you desire QUICKLY. These 21 top secret tactics to make money online will show you how to leave stress at the door and shine in financial stability. No more bounced checks or not being able to pay the bills. After gaining the knowledge you need to succeed from this book you will soar straight to the top of online business success where finally YOU will call the shots. 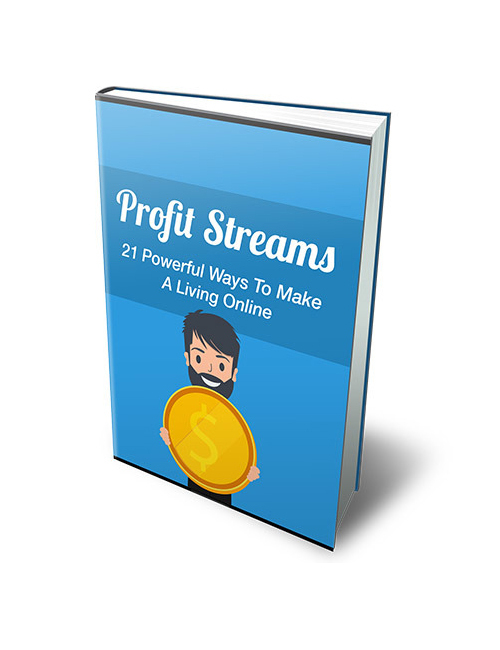 Profit Streams – 21 Ways To Make A Living Online is an excellent guide you seriously can’t afford to miss. Grab it and win!